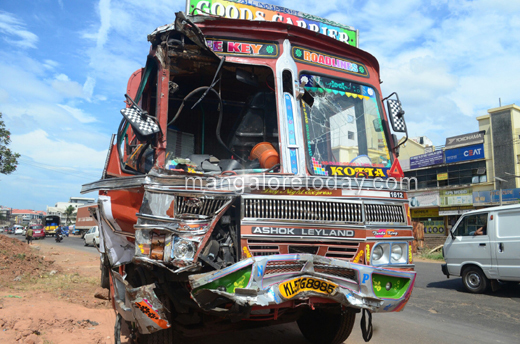 Mangaluru, Dec 01, 2017: Several people were injured in a head-on collision between a police bus carrying KSRP personnel and a lorry near the Indiana Hospital close by Pumpwell on December 1, Friday morning. The lorry laden with goods was heading towards Kasargod while the police bus with KSRP personnel was arriving to the city. It has been gathered that the driver of the bus has been severely injured. All the injured persons have been rushed to hospitals.